So you are looking to create a beautiful and stylish garden that looks lush and abundant? Today we are going to find out how! A lush garden can transform your exterior space, making it seem like an outdoor haven. The more abundance and succulent the garden looks, the more appealing it will be. It's also functional! A lush garden creates an outdoor space that is wonderful for entertaining or simply relax in. Even if you live in the busiest of cities, a gorgeous garden can make you feel connected to nature. So let's explore 7 take-home tips for lush garden design! This lush green grass complements the sleek, modern pond, making for a beautiful outdoor space. Do you see how different textures and tones are created thanks to these different features? Even if your garden is small, you can use plants of different heights and shapes to give the impression of a very lush environment. For the front of the house, this can create a very exotic look and feel. 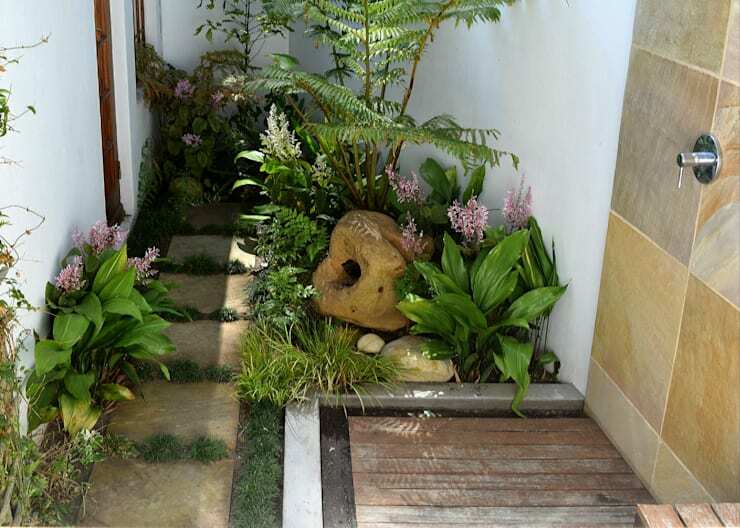 Have a look at this article: Making a big impression with a small front garden. 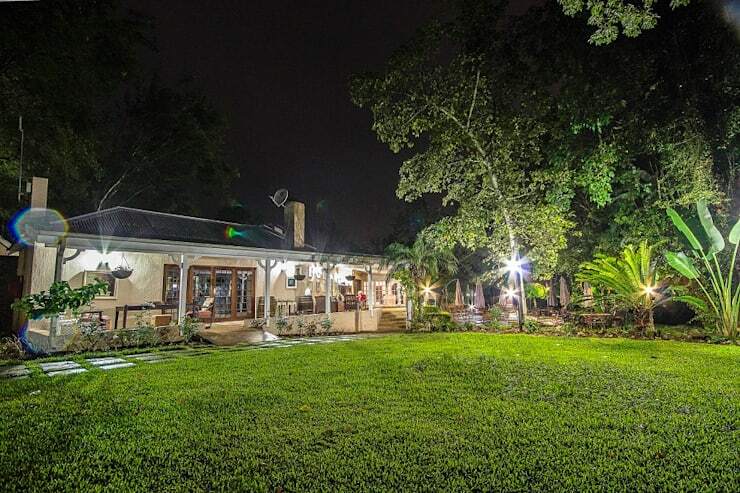 Sometimes all you need for a lush garden is a well-manicured and maintained lawn. Get the lawn-mower out and get trimming! 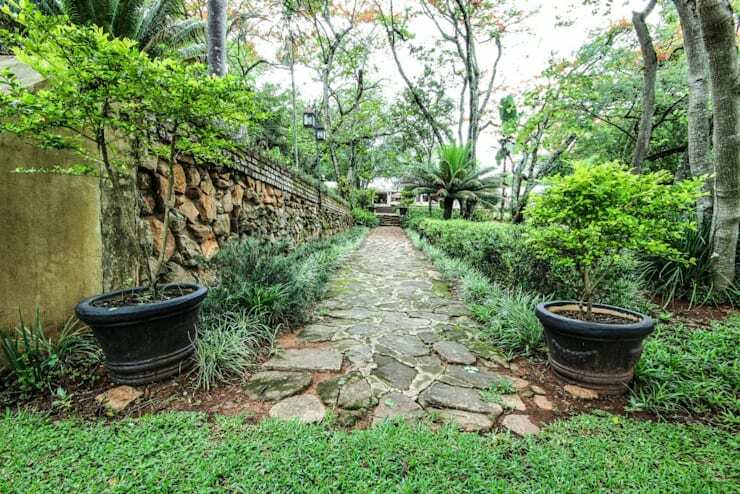 A garden pathway is functional in that it allows you to move through the outdoor space with freedom and ease. It also creates a fairy tale look and feel for a romantic and whimsical touch. For those who prefer a lush garden that is slightly more organised than the wild and tropical look, opt for a design like this one. 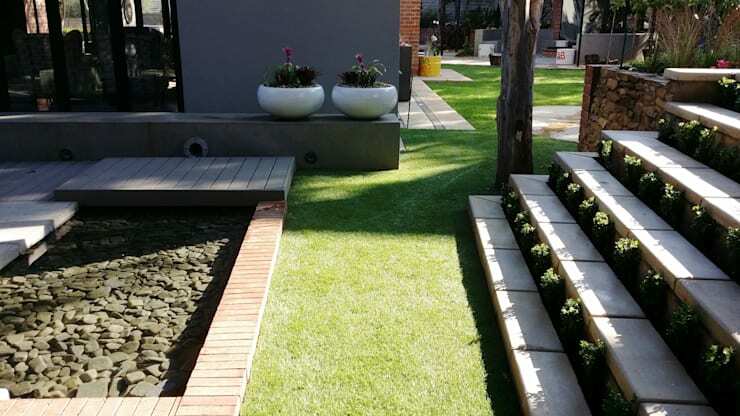 The trimmed lawn, clean lines and sophisticated use of levels makes for a very aesthetically appealing design. Sometimes less is more! In this design, we can see how vertical space has been utilised. 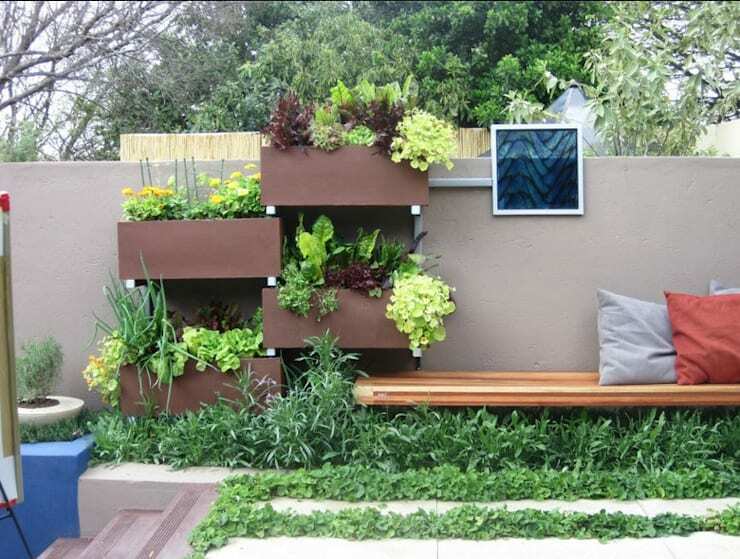 The designers have added planters to the wall, creating a very lush vertical garden. A pond is a wonderful way to create a very peaceful and tranquil outdoor environment. 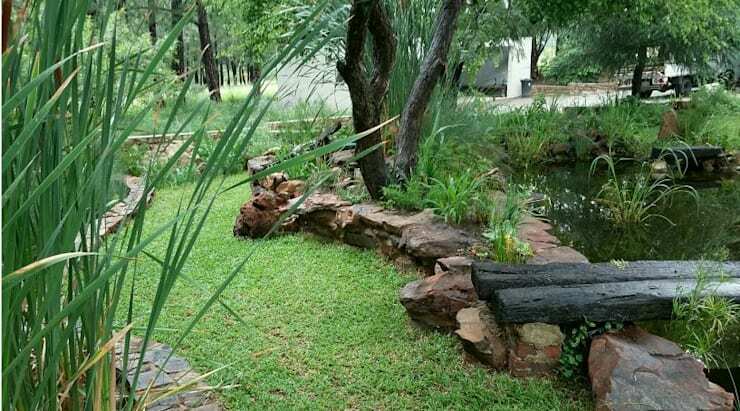 Have a look at this article: Boost your garden… with a pond. Are you ready to create a lush garden?